Most of us are knowledgeable about the benefits of including adequate vitamins and nutrients in our daily diets to our overall health and well-being. While most of the nutrients important to sustaining good health are found in food sources, it would seem that no other supplements would be necessary, right? Wrong. Most people simply do not maintain a regular dietary intake that would provide adequate essential vitamins and minerals, and even vitamin supplements are poorly digested and absorbed by the body. 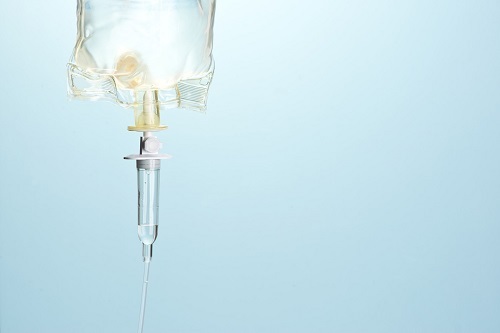 IV vitamin therapy, also known as “Myer’s Cocktail,” is a formulation made of vitamins and minerals that is delivered intravenously. Dubbed the Myer’s Cocktail, in honor of its inventor, the late internist, Dr. John Meyers of Johns Hopkins Hospital in Baltimore, this recipe of nutrients is attributed to successfully treating many health conditions as well as promoting overall wellness for over forty years. The Myer’s Cocktail is a blend of vitamin C, B complex, calcium, and magnesium, formulated as an intravenous infusion. Over the decades, IV vitamin therapy has enhanced the healing process, alleviated many physical maladies, and helped restore energy and stamina levels. With increasing digestive issues among the population that impede absorption of nutrients—such as celiac disease, Crohn’s disease, inflammatory bowel syndrome (IBS), gluten intolerance, and lactose intolerance—the Myer’s Cocktail bypasses the gut and delivers the nutrients directly to the blood stream. The Myer’s Cocktail is also said to aid in the relief of hangovers, as well as to promote a healthy, glowing appearance. Someone interested in receiving IV vitamin therapy has options to consider. While most will receive the treatment in a medical setting, an increasing number of people are opting for an in-home treatment. The comfort and convenience of receiving the Myer’s Cocktail in the privacy of your home cannot be overstated. The in home IV vitamin therapy Los Angeles promotes relaxation, with no scurrying in traffic, trying to find parking at a busy medical center, and wasted time. The in-home care provider simply seats you comfortably in a quiet space within your home and gently inserts the catheter for the IV infusion. The process typically takes 20-30 minutes total, and then you are free to resume your daily activities with no down time. 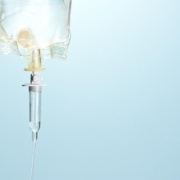 The IV vitamin therapy Los Angeles is administered once or twice a week for the first four weeks, and then tapers off to one treatment per month. Your specific health needs will determine the actual treatment schedule, and are prescribed by a medical professional. The positive effect of the Myer’s Cocktail can last days to weeks, and is very well tolerated. Kinkaid Private Care coordinates the highest quality in home IV Vitamin Therapy care in Los Angeles near Beverly Hills, Malibu, Pacific Palisades, Santa Monica, Bel Air, and surrounding cities. The compassionate professional nursing staff at Kinkaid Private Care will connect you to expert home care nurses who can administer IV vitamin therapy in the comfort of your private residence. Call Kinkaid Private Care today at (877) 388-6373.